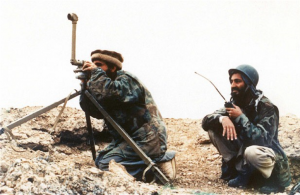 The Arabs at War in Afghanistan questions the foundational myths of the Afghan Jihad which touched a generation of Muslim men growing up in the 90s. It is told by one of the earliest Afghan Arabs, Mustafa Hamid who joined the warlord Jalaluddin Haqqani against the Afghan Communist regime and the Soviet Union. 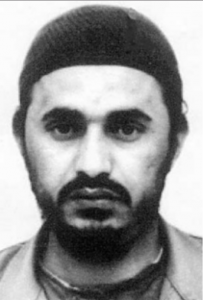 He was also one of the few Arabs who remained after the Afghan Jihad had ended. He became close to Mullah Omar and Osama bin Laden and his inner circle. Although Hamid is a prolific writer in Arabic his latest account has valuable lessons for all those pondering Jihadism and its effect in the Middle East. Mustafa Hamid working together with Leah Farrall, an Australian counter-terrorism expert, gives an account of the genesis of al-Qaeda and the Taliban with extraordinary detail. The very fact that these two could come together to produce such a document is an extraordinary feat in itself and proof that dialogue between two seemingly inveterate enemies is possible. The book is in the form of a ‘conversation’, the dialogues consist of twelve chapters touching on topics such as the Arab-Afghan Jihad, Taliban origins, the Arab Services Bureau; the battle of Jaji, the Arab training camps, Arab-Afghan politics, efforts at unity post 9/11 and the final chapter being the reflections of the authors. The book is complimented by several helpful sections giving brief outlines of people, locations and glossaries. Another important point that Hamid makes is that often fighting men, and here the focus is on Arabs, follow men not ideas. And he explains why the Afghan Arabs followed leaders that made catastrophic errors. According to Hamid, Osama bin Laden or Abu Abdullah did not have a clear vision or a strategy at the battle of Jaji, Jalalabad or 9/11 for that matter. And though his far more able commanders like Abu Hafs al-Masri, Abu Ubaida al-Banshiri knew it, none disavowed him. Only Abu Hafs al-Mauritani, their in-house jurist resigned in protest when the idea of 9/11 was floated because it contravened Islamic law. 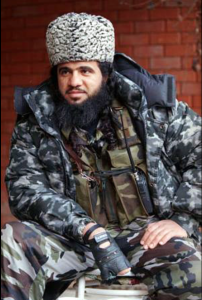 Similarly, Khattab, the Saudi commander fighting Russians in Chechnya and often wrongly associated with al-Qaeda, entered into Dagestan provoking a lethal Russian response that resulted in the loss of thousands of innocent civilians. Hamid suggests that both men suffered from same problem that Tony Blair suffered from, they only wanted to hear what they wanted to hear. In fact, Hamid goes as far as questioning the very foundational myths of al-Qaeda. Bin Laden and Khattab in his view, were far from ideal leaders. For instance, Hamid rubbishes the notion that Bin Laden was attempting to draw the US into a trap. He believes Bin Laden had no such vision except that he wanted to be the saviour of the Muslim religious community or Ummah. 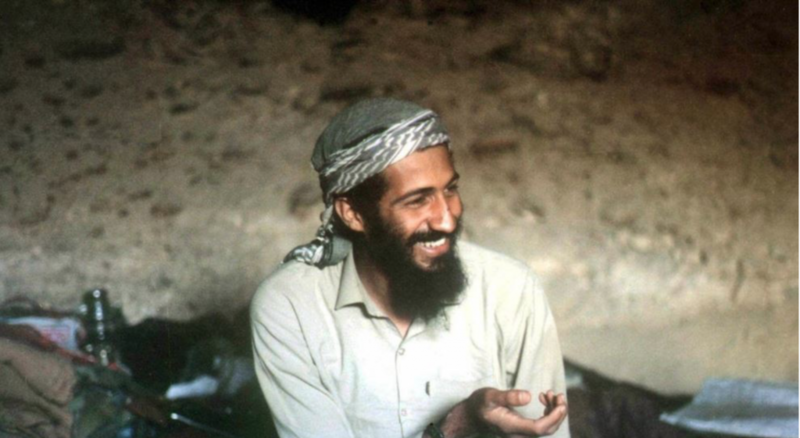 Hamid depicts Bin Laden as suffering at best from quixotic hubris and at worst, megalomania. To Hamid, Bin Laden flagrantly disobeying the orders of Mullah Omar and unleashing the wrath of the USA at the expense of millions of innocent Afghans was inexcusable. Hamid also reveals the immense rivalry between Bin Laden and more long term visionaries such as the Syrian Abu Musab al-Suri. He trenchantly criticises Bin Laden for his mistakes in Jaji and Tora Bora as tactical errors. This is also independently affirmed by other Afghan veterans like Abdullah Anas. It is also notable that in Hamid’s narrative, Dr. Ayman al-Zawahiri was only a bit player and mentioned only in passing unlike the bigger role he was given by Lawrence Wright in his classic The Looming Tower. One of the most valuable insights of the book, if not the most, is the widespread influence of the ‘Jalalabad School of Jihad’. The school Hamid argues, is the progenitor for all the Jihadist movements in the Islamic world. He points out that none of the Arab fighters in Afghanistan had any religious authority. The few Arabs that had religious authority were Sheikh Abdullah Azzam, Sheikh Abdel Majid Zindani who came to Afghanistan intermittently, Sheikh Omar Abdur Rahman, the ‘blind sheikh’ who lived in Peshawar on a pension, and to a lesser extent Abdullah Anas who was the product of a North African religious education system but was mostly with Ahmed Shah Massoud in the Panshir valley. In contrast, Afghans had scholarly authority of the Mullahs and Mawalwis; the late warlord Jalaluddin Haqqani for example was a respected scholar and a product of the Indo-Pak Deoband tradition. Despite this rich tradition of indigenous scholarship, Arab fighters did not respect this mainly Hanafi tradition and only listened to their own. Hamid argues that this had huge implications, once the few members of religious authority either left or passed away many of these Arab-Afghans especially the later younger arrivals, could not be controlled or directed. Bin Laden struggled to control them and was criticised by his own men for being too pliant to their whims. But he also had little choice; he was in the midst of intense competition for recruits between the various factions and often these young fighters would go off to another camp if they didn’t like what he had to offer. The competition for recruits and the lack of religious authority resulted in many young fighters doing something unprecedented; they claimed religious authority not on the basis of religious knowledge but on the basis of their fighting experience. It gave legitimacy to a largely religiously untrained class of men from Osama bin Laden to al-Zarqawi who had the gall to issue religious edicts and Fatwas which in the past, they would have no right to issue. It was akin to an undergraduate law student claiming the legal authority of a High Court judge. Hamid notes that al-Qaeda always had scholars coming from outside but it could never generate scholars from within its own ranks. Even Abu Qatadah who is often closely associated with al-Qaeda is religiously trained in Jordan under notable Jordanian religious scholars. To his critics the issue with Sh. Abu Qatadah has never been his erudition but his judgement. But whilst Hamid condemns the Jalalabad school for extremism he does not let the US off the hook. The US turned into an enemy of the Afghan Arabs when “in 1991, there was a Gulf War and it was widely known America was a big enemy and destroying the Arabs. In ten years 1.5 million people were killed…most of them were children. America became an enemy because of its actions.” It would seem that according to Hamid the US is only reaping what its foreign policy has sowed. There is no doubt that Hamid’s book is of immense value but there are some points of criticism. The first point here is minor. Whilst the dialogic format is interesting, the book could improve by further editing as it can occasionally be repetitive. Neither is it always clear, whether it is Hamid or Farrall speaking or whether it is general background given by a neutral voice. This can be off putting and hampers its accessibility. Moreover this being a ‘conversation’ means that the reader has to be sufficiently informed in order to understand that conversation fully, that is a great shame because this book deserves a larger audience. The second point of criticism is the credibility of the account. I am well aware that Mustafa Hamid has been criticised savagely by his former comrade Ahmad Hasan Abu al-Khayr. Whilst the latter has immense reverence for Hamid nevertheless he speaks out against him because “truth” was being “slaughtered” and “fabricated”. That leaves the reader to ask quite reasonably, how credible is Hamid’s account? Certainly, here Leah Farrall’s presence is critical because her role is to reign him in, to be sceptical and to challenge him. Nevertheless, to what extent is the book accurate? There are aspects in his account that need further work especially on the Arab Services Bureau, this author has interviewed those who differ with Hamid on how it was created and worked. In fact, the Arab Services Bureau chapter probably needs its own in depth study. But there are also other aspects that are confirmed by other sources, for instance the tension between Mullah Omar and Osama Bin Laden has been confirmed by the sterling journalism of Lawrence Wright. The character sketch Hamid gives of Osama bin Laden has been confirmed to this author independently by other Afghan veterans. The Harmony project also confirms many of Hamid’s assertions. 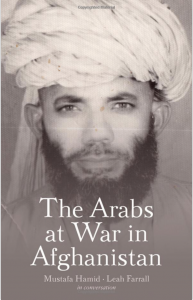 As for the Jalalabad school of Jihad, this seems like a plausible theory, Abdullah Anas has told this author that many of these young men who became known as Afghan Arabs came to Afghanistan in the early nineties when the Soviets had left already. By that time, Abdullah Azzam was dead, Sh. Zindani was in Yemen, Omar Abdur-Rahman was living in the US and so it seems reasonable that such a ‘school’ can come about in the camps of Jalalabad. Therefore, whilst one must approach Hamid’s account with a degree of caution, his account doesn’t seem to exaggerate nor does it lapse into conspiracy theories. The points highlighted in this review then, are far from controversial and can be found in the works of analysts such as Don Rassler and Vahid Brown’s The Fountain Head of Jihad: The Haqqani Nexus 1973-2012. The Arabs at War in Afghanistan is an incredibly important work for so many of the reasons outlined. It has a demystifying effect on an aspect of history which has been shrouded in myth and to find an old veteran talking about the issues with such clarity and candour is of immense value and part of that must be attributed to Ms. Farrall’s academic eye. This book review first appeared in Syria Comment and is cross posted here. Previous Previous post: Fathi Warfali: A Democrat who Sought Martyrdom in the Fields of Afghanistan.